City Manager Craig Stephenson said Monday night that about 300 Ponca City residents have signed up in the first phase of Ponca City Broadband. Bids for the project will be opened on Jan. 22 and are expected to be before the City Commission for approval at its Jan. 28 regular City Commission meeting. 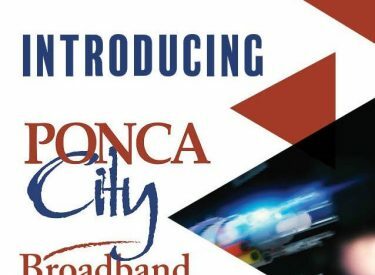 Ponca City Broadband service will be installed in phases throughout Ponca City. This service is the first truly fiber optic option available to Ponca City residents. Pre sign ups are required! For more information about Broadband, visit Broadband. There’s a link on the page to pre-sign up.